If you are a Cancer you have a gift for intimacy, caring and love. When you are in love, you neglect even the most striking flaws of your partner. You are loving, generous, sentimental and motherly. You need someone who shares your energy and willingness to investigate complex and emotional issues. As soon as you find that someone, you give everything you have. You are completely supportive. However, you do tend to be possessive. The moon constantly changes its appearance; it waxes and wanes, remaining inconspicuous by day but becoming queen of the night, turning an ordinary landscape into a thing of mystery and enchantment. And so it is with Cancer - a cautious, unassuming and gentle exterior conceals a strong, ambitious and forceful inner-being, one whose most passionate qualities are revealed when in love, and one whose protective and possessive instincts come to the fore as wife and mother. You are one of the most unlikely zodiac types to be promiscuous: you crave security and stability, you resist change and hang onto the past like a life-raft. The sad fact is that in this modern age even the devoted Cancerian can experience rifts and ruptures in their relationships, and sometimes, when they have been deeply, deeply hurt, they never recover, remaining single and somewhat bitter for the rest of their lives. The Celestial Crab never forgets where she has buried the hatchet. Love and marriage go hand in hand for the Cancer female - unless you’ve had an extremely difficult upbringing, you will tend to marry young, and, more importantly, stay with your man, through thick and thin. Indeed, when Ms Cancer vows to love in sickness and in health, for richer for poorer, and until death do you part, she really, really means it. When you fall for a Cancer, make sure you have roses, chocolate and candlelight near at hand. He/she is from head to foot monogamous, a genuine romantic soul. Go to the sea-side, go out dancing, go walk in the moonlight. Some signs do this because they want to go through the experience. Cancer does it because he/she reacts to traditional symbols and, above all, he/she is always on the lookout for intimacy. Two suggestions: prove that you are able to cook and that you are prepared to talk about your emotions in great detail. Ever been in a relationship with a flighty Aries? If so, look no further…in fact this would be an ideal “rebound” situation. Cancer whose most likeable trait is “loyalty. Cancers have been known to wear their “hard outer shell” like they are going off to war. Truth is they rely on this shell to protect their sensitive, delicate flesh underneath. They possess a proverbial “heart of gold”. They can make you feel secure, however that security has a price tag…they command your undying loyalty. The Moon rules Cancer and its element are water. 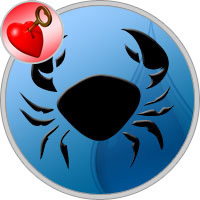 Cancers are affectionate, nurturing and sympathetic. If you feel as though you need a little mothering, you have found your dream mate. Known to be the homebodies of the Zodiac, they love nothing better than providing a cozy nest for their lover. One very important piece of advice. Never consider them as a candidate for a one night stand or fling. They are relationship oriented and do not play around when it comes to matters of the heart. 1. Let them mother you. Expose your wounded heart. Tell them about your past relationship and how you were left “in a pile of rubble” by that scandalous Libra. It will just come naturally to them to try to soothe your aching heart. 2. Try to mother them. Cancers love being spoiled and especially love gifts. Never show up to their door empty handed. Get them something for their home. Maybe a nice aromatherapy candle. They appreciate your thoughtfulness. 3. Since they are known to wear their heart on their sleeves, encourage them to discuss their past relationships. Never even hint that they may have been at fault. Unlike their past partner show them how sensitive and understanding you are to their feelings. 4. Present yourself as a “stay at home” kind of girl/boy. Make sure your kitchen is stocked with enough food to feed a small army. Food is comforting to them so make an extra trip to the Farmer’s Market for fresh fruits and vegetables. Fresh flowers would also be a nice touch. 5. Above all be sure they know how you admire and worship your mother. Inquire as to the health of their mother. Be sure you convey to them how important your relationship with your mother is and how much time you spend with her. If you do not have good relationship with your mother be sure this is hidden. 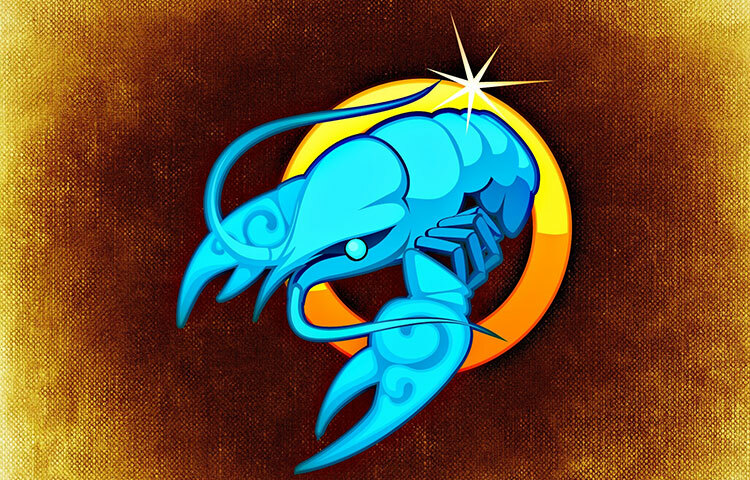 Even though most Cancerians like to stay home, they will be up for a fine meal at their favorite 4 star restaurant. A good movie, skiing in Lake Tahoe, a homecooked meal at your place, a hike in the woods, a weekend in the wine country, museums, flea markets, a good party. If you really want to impress your Cancer take them to San Francisco to see the Opera. Romance novels, old romantic movies, antique clocks, velvet drapes, candles, jewelry, a vintage Jaguar, flannel boxers, treats for their pet, antique watch, kitchenware, china, Lalique crystal, bottle of Crystal, down comforter or a silk chemise. For the extra special Cancer in your life give them a Persian kitty. Gossip, gossip and more gossip. They love to talk about who’s doing what to whom and who’s in the A group as opposed to those who were banished to the B group. Anything that has to with home décor or the latest Opera you attended. You might want to get the to tell you about their last vacation. They love to talk about the past being the sentimental creatures that they are. Cancers are hopeless romantics so be forewarned that you will have to sweep them off their feet. Do not show up for date without a bouquet of flowers. Chivalry is a word that riddles their vocabulary. They are very old fashioned and believe in courting. A great tactic would be to invite them to dinner at your house. Prepare their favorite dish. Have fresh flowers and candles lit everywhere. Soft music should be playing….maybe Vangelis or Mozart. Cuddling is a must. They are a unbelievable cuddlers. This is foreplay to them. Try to make them feel safe and secure. That is key to getting them into the bedroom. After dinner is over make them sit in front of the fireplace (if you have one) and feed them chocolates. If this doesn’t work you’ll have to try another angle. Cancers believe in love at first site you might tell them that you are falling in love with them. Express how much you desire their company and you cannot live without them. Only do this if you really mean it because they will definitely fall in love with you. You will have to be a little mushy because they will not believe you. If this is just not in your personality to be sappy, let someone else to the work for you. Rent Gone with the Wind or Love Story. Don’t be afraid to get a little weepy. Hold their hands throughout the movie working your way to that passionate kiss… the rest is up to you.